SUPERBLY PRESENTED TWO BEDROOM MID TERRACE HOUSE. 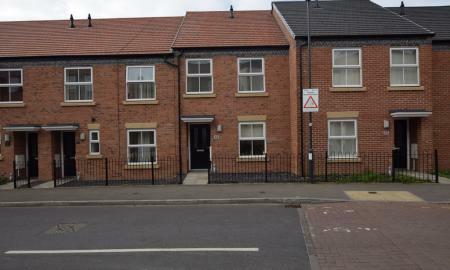 A two bedroom mid terrace house has become available in the Camp Hill area of Nuneaton. Still within its 10 years NHBC and 996 years remaining on the lease. Property comprises of entrance hallway with stairs leading to first floor landing, kitchen/diner and lounge. Upstairs comprises of 2 good sized bedrooms, bathroom and loft access. To the rear is a low maintenance garden complete with garage, allocated parking space and secured gated parking. Do not miss out on this great opportunity for first time buyers or investors!